The marriage ceremony has been an important feature across nearly every culture, generation, religion, and society. It not only joins two people together, but the union of their families as well. Commemorate this joyful event by stitching our Ancient Wedding Scroll needlepoint canvas. 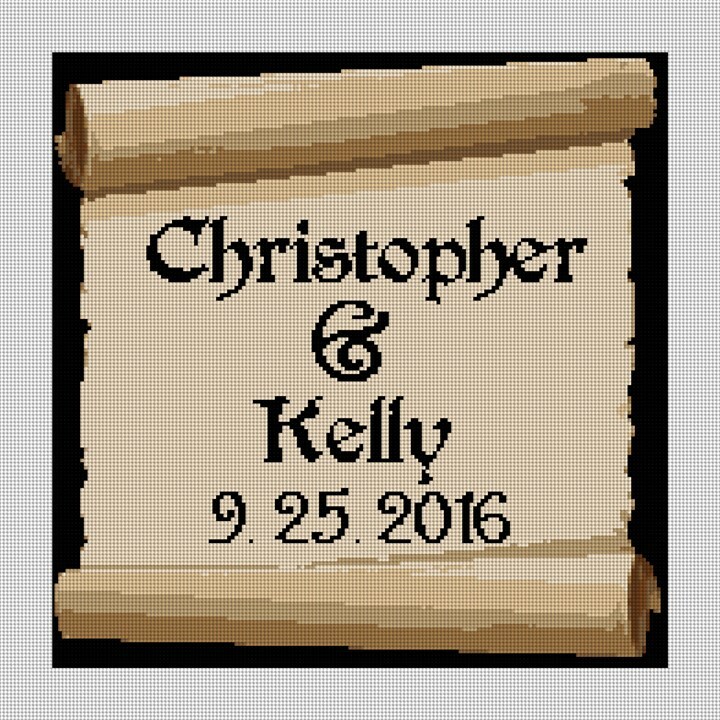 Personalize this scroll with the bride and grooms name, wedding date or even add two small family crests to the design.